The Moreland Motor Truck Company operated between 1917 and 1940 in Burbank, California. They never built passenger cars and focused on commercial truck production for the duration of their existence. This truck is powered by a Continental straight-six and a 3-speed manual transmission. Well restored, this truck features some original equipment from 1927, including its spare tire. The wood that makes up part of this truck is solid oak. 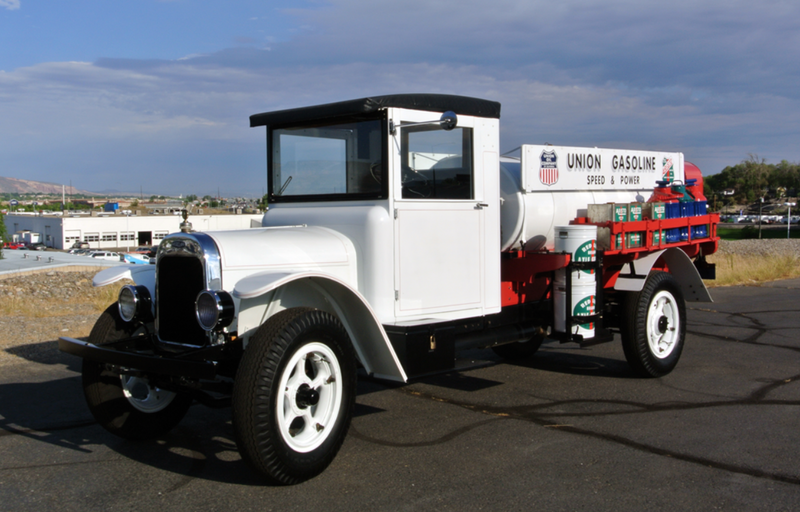 Finished in Union Oil livery, this truck has a pretty wide appeal – which is about the only reason it’s in this sale. Commercial trucks aren’t heavily featured in major collector car auctions. But when they have some relation to petroliana, they end up making the cut. This will sell at no reserve and you can find out more about it here. Click here for more from this sale. This entry was posted in Uncategorized and tagged 1927, auctions, barrett-jackson, classic trucks, commercial vehicles, gas tanker, moreland, rr6, trucks by classiccarweekly. Bookmark the permalink.